Niccolò Moriconi, aka Ultimo, was born in Rome on 27 January 1996. He studied piano at the age of 8 at the S.Cecilia Music Conservatory in Rome. He started writing his first songs from 14 years: his style over the years evolved into a marriage between songwriting and hip hop music. In 2016 he won the most important contest for emerging groups and soloists of Italian hip hop music. from Honiro, wins and starts, in March 2017, his collaboration with Honiro with the debut single entitled "Key" In May 2017, Ultimo, has opened, with great success of public and critics, the concert of Fabrizio Moro at the Palalottomatica of Rome, while in September he performed at the MACRO - Museum of Contemporary Art in Rome - during the Honiro Label Party. 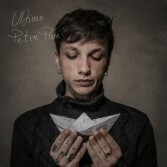 On the 6th of October the first album by Ultimo was released "Pianeti": in 24 hours the album reached the second position in the iTunes ranking. In just three days he sold out for the two secular dates of 19 in Milan at Santeria and 20 January at Quirinetta in Rome.